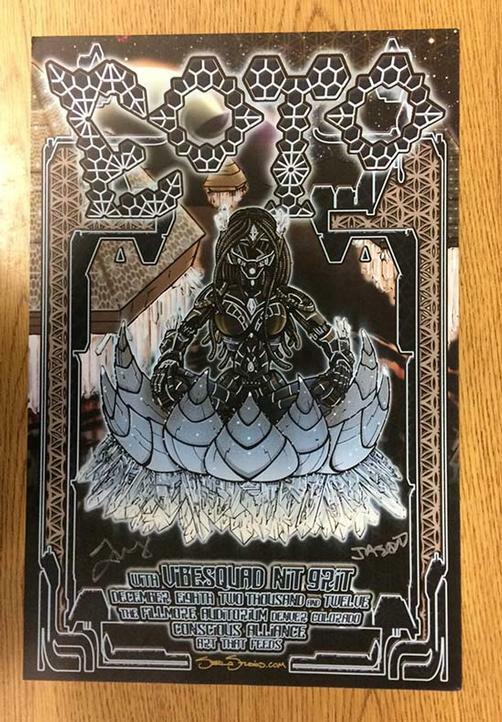 Original AUTOGRAPHED concert poster for EOTO at The Fillmore Auditorium in Denver, CO in 2012. 11.5 x 17.25 inches. Artwork by Mark Serlo. 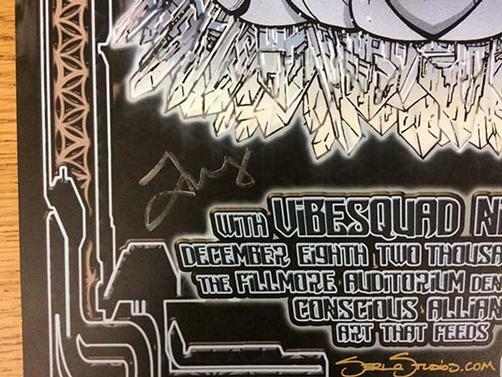 Hand-Signed by Michael Travis and Jason Hann.